Yao are one of the ethnic minority groups in southwest China region. In GuiZhou, 'Yao' ethnic people live in the very southern part of the province, often in some very harsh mountainous areas. 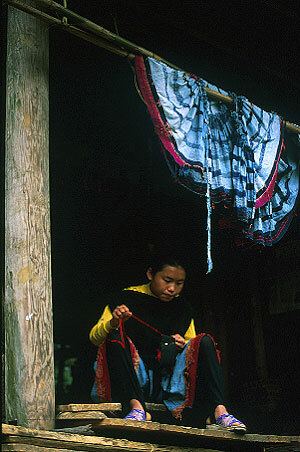 Making her traditional embroidering under the shade of her family's wooden shed house, this village is quietly deep into the rugged hilly mountains.